The Global Volcanism Program has no activity reports for Chiquimula Volcanic Field. The Global Volcanism Program has no Weekly Reports available for Chiquimula Volcanic Field. The Global Volcanism Program has no Bulletin Reports available for Chiquimula Volcanic Field. The Chiquimula volcanic field occupies a fault-bounded basin underlain by Cretaceous plutonic rocks in the Chiquimula Valley of SE Guatemala. Initial eruptions during the Pleistocene produced mesa-forming basaltic lava flows along the N-S-trending fault, forming the eastern edge of the Ipala graben. These were followed by the eruption of widespread lava flows NW of Chiquimula town that covered about 12 km2. The most recent eruptions produced basaltic cinder cones and lava flows near the northern edge of Chiquimula town. The cinder cones were constructed along a N-S-trending fracture, with Cerro Grande, the largest, at the northern end and Cerro Chiquito, the youngest, at the southern end. 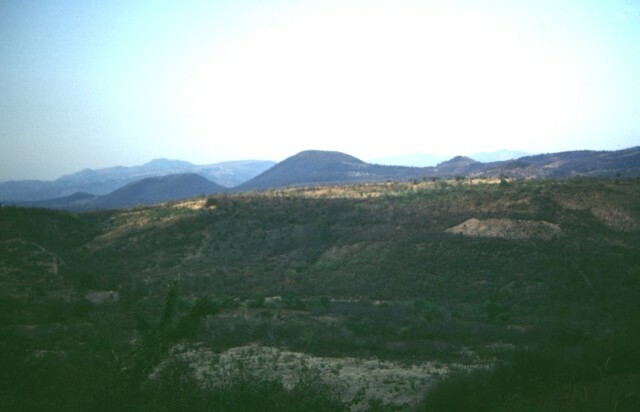 Lava flows from Cerro Chiquito are so fresh in appearance and sparsely vegetated that they were considered by Williams et al. (1964) to be possibly less than 1000 years old. The Global Volcanism Program is not aware of any Holocene eruptions from Chiquimula Volcanic Field. If this volcano has had large eruptions (VEI >= 4) prior to 10,000 years ago, information might be found on the Chiquimula Volcanic Field page in the LaMEVE (Large Magnitude Explosive Volcanic Eruptions) database, a part of the Volcano Global Risk Identification and Analysis Project (VOGRIPA). There is no Deformation History data available for Chiquimula Volcanic Field. There is no Emissions History data available for Chiquimula Volcanic Field. 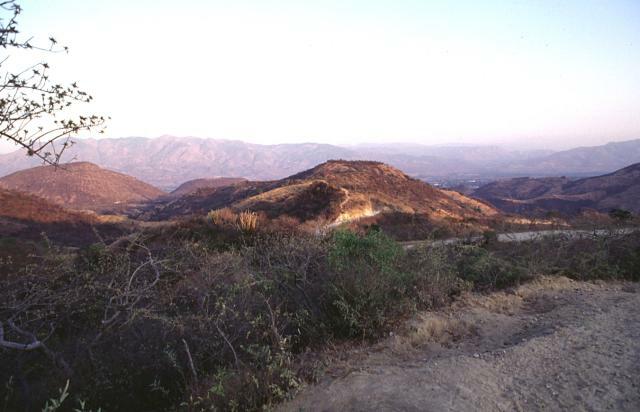 The Chiquimula volcanic field occupies a fault-bounded basin underlain by light-colored Cretaceous plutonic rocks in the Chiquimula Valley of SE Guatemala. The most recent eruptions produced basaltic cinder cones and lava flows constructed along a N-S-trending fracture starting near the northern edge of Chiquimula town. Part of the town is seen on the valley floor to the right of the hill in the center of this photo, taken from the NW along the road to Maraxco. The youngest vents of the Chiquimula volcanic field were erupted along a N-S-trending fracture north of the town of Chiquimula. They are seen here from the NE, north of the town of Petapilo. The northernmost of the young cones, Cerro Grande, is the oldest and largest. The youngest lava flows originated from fissure vents at Cerro Chiquito. The age of these unvegetated flows is not known, but they may be less than a thousand years old. There are no samples for Chiquimula Volcanic Field in the Smithsonian's NMNH Department of Mineral Sciences Rock and Ore collection. Large Eruptions of Chiquimula Volcanic Field Information about large Quaternary eruptions (VEI >= 4) is cataloged in the Large Magnitude Explosive Volcanic Eruptions (LaMEVE) database of the Volcano Global Risk Identification and Analysis Project (VOGRIPA).